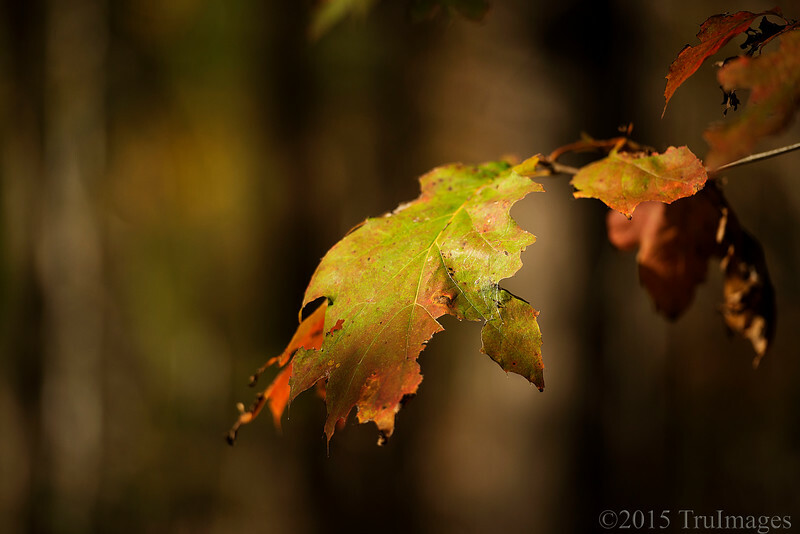 A tattered leaf proudly displays its fall colors. Cool Bokeh! Great shot. Been a while since I've viewed your work! I like your new theme. The light and this beautiful leaf is outstanding. Wonderful color and comp. excellent work!